Charles Darwin‘s synthetic theory of evolution survival of the fittest serves as a model for our management system. Since 2005 we have successfully used the supplier management program DARWIN which controls, documents, monitors and optimizes procurement quality. We support our supply base´ understanding of quality with the development program DARWIN. We involve our suppliers at the earliest stage in our projects, to work out optimized solutions in terms of cost, function and timing and in order to utilize the innovation potentials of the market. 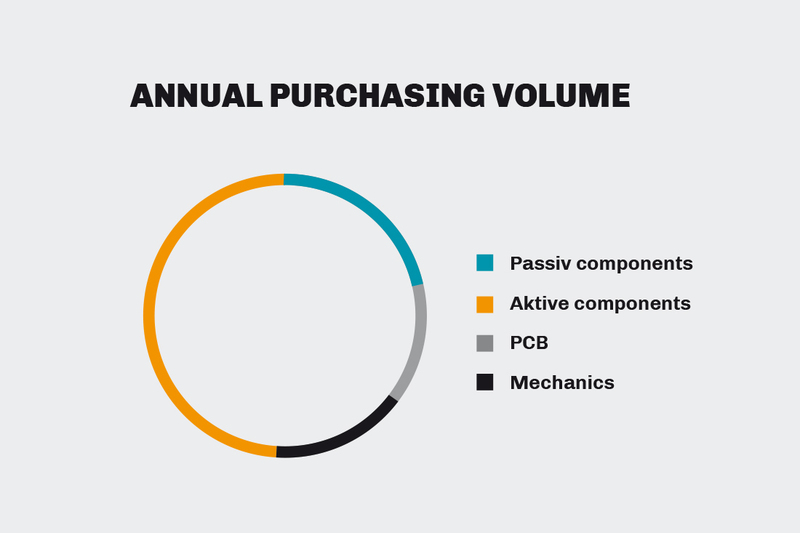 We develop in close cooperation with our partners models to increase supply chain efficiency. Our supplier relations are characterized by an open and fair interaction and communication. The sound makes the music. 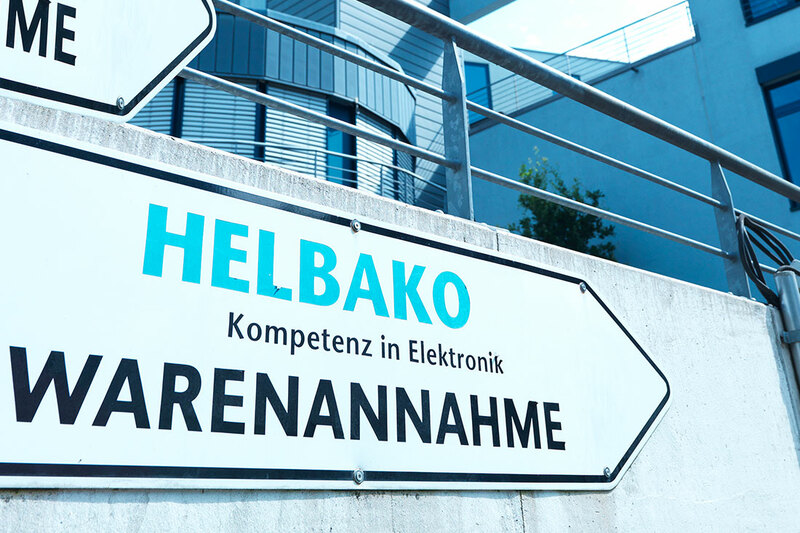 The joint, partner-based approach of supplier and Helbako is all part of an efficient and ultimately profitable cooperation – and with it the long-term success of all parties involved. We request our suppliers to work in compliance with laws and ethical norms in house and throughout the entire supply chain. Discrimination, exploitation and child labor are totally unacceptable to us. We also request the adherence to safety standards, training of all staff in health and hygiene matters and compliance with environmental norms and laws. 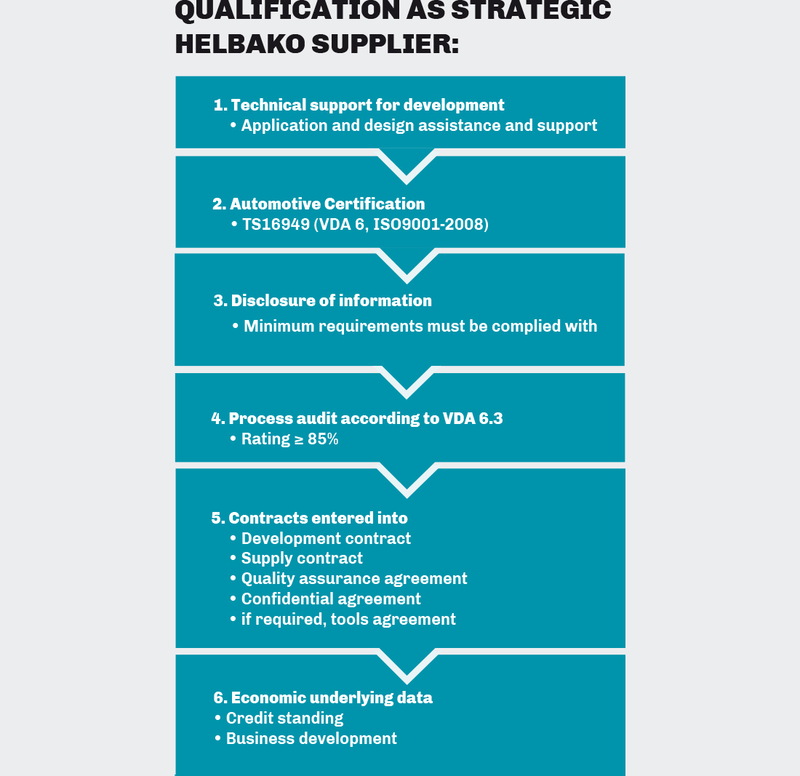 Click here to retrieve Helbako´s Standards relating to Sustainability and Environmental Protection which we expect our suppliers to act oriented to. The self-application form (see below, step 3 of the qualification process) is available for download here.